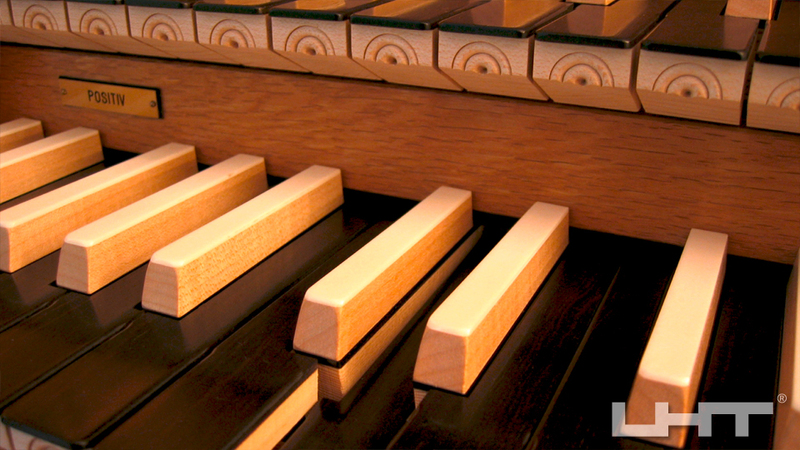 UHT manufactures wooden keyboards for electronic keyboard instruments. The company was founded in 1994. It has developed a keyboard on the basis of its own inventions and patents that is distinguished by a special feel. While retaining the basic concept, the keyboard has developed through many innovations over the years into an internationally sought-after product. In the meantime, the range of products has diversified and ranges from the silent manual, through the organ keyboard to mechanical and electronic accessories. The main products are UHT organ keyboards for electronic church organs. UHT keyboards are made to order, and their special design leaves plenty of scope for fulfilling many customer requests. Each UHT keyboard is unique as a result of the optional parameter settings. Our team is dedicated to the production of uniquely customized organ keyboards.